Chen Katz was born in Kibbutz Afikim in the Jordan Valley. He spent his school years in the Valley’s fields and on the banks of the Jordan River. Among his friends he was known as a story teller. After completing his military service and spending some time doing agricultural work in the Kibbutz, he began working as a tour guide and has been doing this for over 30 years. He was appointed by the Society for the Protection of Nature in Israel as the Director of Hatseva Field School. He began taking tours outside of Israel after the peace treaty with Jordan was signed. In the course of his travels in Egypt, Turkey and Jordan he has delved into biblical stories, which he studies, as is his general custom, by walking the fields and wadis and visiting ancient sites and water wells. 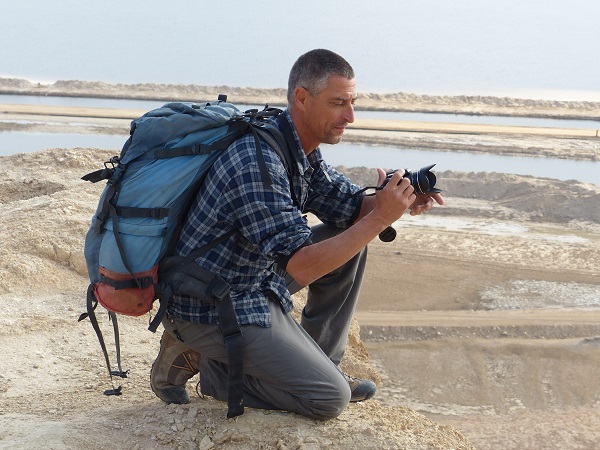 Currently, he is a partner in a “Wandering Sands”, a company that specializes in travel in Israel and overseas. Near the walls of the ancient city Haran, there is a well called “Jacob’s Well”. This is the well where according to tradition, the meeting between Jacob and Rachel took place. At the behest of a religious Jewish businesswoman, a group of 40 rabbis from Bnei Braq traveled to the well for the purpose of making it kosher. At the site, the rabbis unanimously agreed that this was indeed the historical well, a decision which was widely supported by locals who astutely realized its economic potential. The Jewish entrepreneur opened a travel agency that specializes in sending over young people from Israel for finding a match. After all, this is the location where the biggest match of all took place. I myself have for years stood near this well and enthusiastically read out the relevant biblical citations…..But at one point, I began doubting the identification of the site as the famous well. There was something in the conversation between Jacob and the shepherds which did not seem right and switched a “warning light” on…. Chen Katz takes us on an adventurous journey in an ancient terrain. 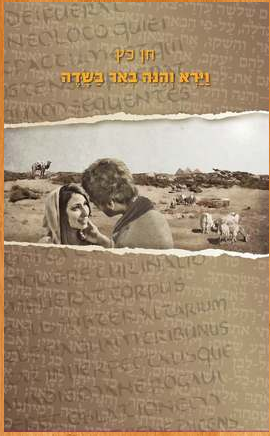 He brings to life geographic and historical aspects of biblical tales and provides the reader with an exciting and revelationary learning experience.In his rich and flowing language, Chentells many tales. He recounts howa slip of the tongue of an old Bedouin lead Laurence of Arabia to misidentify the “Ascent of Akrabim”, discusses whether Ezekiel’s vision of fish in the Dead Sea is amere prophetic hallucination or could be a natural phenomenon, and considers the connection between tea and the discovery of the world’s lowest place.The book, however, revolves mainly around the fascinating story of the quest to discover Jacob’s well between the Tigris and the Euphrates rivers. Accompanied by friends and a filming crew and basing himself on ancient scripts, archaeological remains, biblical clues, and local myths, Chen, sets out to investigate the mysteries of Jacob’s Well. A jaw dropping story! “Did you really find Jacob’s well? Was there ever really a Jacob’s Well? I will not be the one to discuss and argue with you the veracity of the biblical narrative. I am willing to follow you to Agaria, and let myself be convinced that the well you identified is the exact place she saw and described. She too was looking for “the” place, and she too accepted the words of the Bishop who accompanied her as cast in stone, just as you regard her writing – as if ages and ages have not gone by from the time of the famous biblical events until Agaria’s visit. How nice it is that an enthusiastic and charming pilgrim can serve as a guide to a group of young guys whose enthusiasm equals her and who, like her, are in touch with and cherish biblical stories.” (OraLimor, The Open University).